When I last posted I had just left for a trip to two conferences in Europe. Since then, I’ve been in 4 countries, given two papers (at EAA 2015 in Glasgow and CHAGS 11 in Vienna), submitted an organized SAA session for next spring, come home, gone to Fairbanks for shotgun qualification, come back home, had two of the WALRUS project participants up here to cut samples from the bones that the interns have been finding in the collections, written part of two reports, drafted two abstracts for a meeting in November, and started on a proposal for an edited volume dealing with climate change & archaeology. I haven’t managed to post at all. 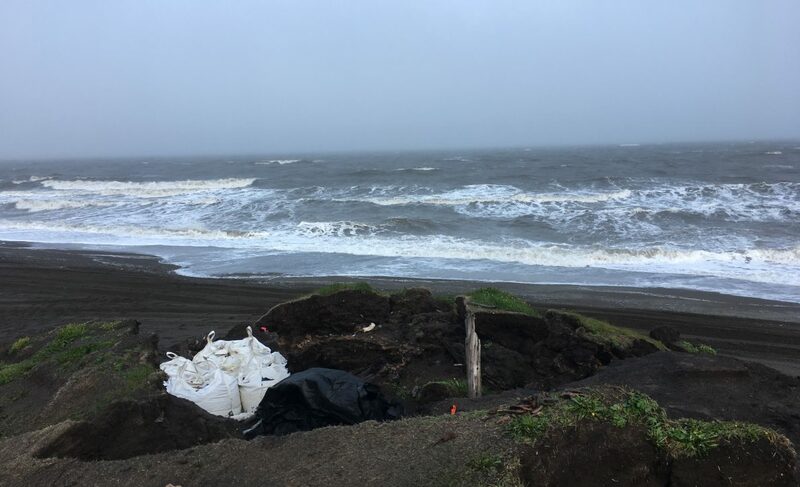 Last week was a tough week for Barrow in many ways, with the deaths of several community members, including long-time mayor Nate Olemaun Jr.. On a brighter note, Barrow took three whales on Friday, and another three today.